The health and safety of officials and participants is of primary concern for Football NSW. Excessive sun exposure can have an immediate negative impact on performance and hydration, and can cause painful sunburn. Exposure to the sun’s ultraviolet (UV) radiation also increases the risk of skin damage and skin cancer. About 1600 Australians die every year from skin cancer yet it is a preventable disease. The actions explained in this policy can help to reduce the harmful effects of exposure to UV radiation. 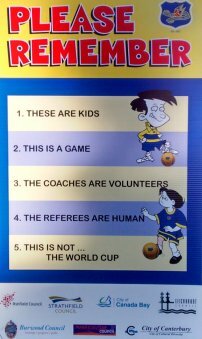 Football NSW and its Associations and clubs have a duty of care to provide a safe environment for everyone involved in football activities. Providing a safe sporting environment includes protecting people from the harmful effects of UV radiation. 2pm (11am-3pm daylight saving time). and in newspaper weather forecasts. Encourage officials and participants to use the shade of trees, buildings and other structures when available. own hats, umbrellas and shade tents. Encourage officials to act as role models by practicing sun safety themselves. Regularly review the sun safety policy to ensure it remains relevant and current.